This means that companies which are not taking seriously the revolution of the E-Customer and are thinking in the old world terms of a supply driven business will face bigger challenges than they can afford in the short and long run. The E-Customer shops on the Internet because they find their choices dramatically increased. They have access too much more information when making purchasing decisions. Busy E-Customer can save time and find shopping more convenient as E-Retailers serve their needs individually. Better information and greater selection, combined with lower operating costs for many Internet businesses may, in turn, drive reductions in prices or improvements in quality. Despite these advantages, many customers today still remain concerned about the Internet. They are concerned about protecting their privacy and the security of their credit card information. Many do not have computers, or find them too difficult to use. Or, they prefer the experience of shopping and selecting products they can see, feel, or try on in person. For these reasons, shopping in stores will likely be the main way that customers purchase goods for many years to come. However, the barriers to Internet shopping are likely to be lower for younger customers. Children today are growing up with the Internet. Over the next decade, as today’s children become adults, shopping on the Internet will be easy and natural to them. According to Tapscott (1998:187-208) a new youth culture, one that involves more than just the pop culture of music, MTV and the movies, is emerging out of N-Gen’s (Net Generation) use of interactive media. It also involves the experience of being part of the largest generation in the world. The E-Retailers should pay attention to this culture that will very soon create the workplace and the society of tomorrow. N-Geners using new media have a new set of expectations as E-Customers. N-Geners are entering a world of highly customised products and services which will be shaped by them, not just as a market, but as individuals. This is causing changes in learning and the relationship between working, learning, and daily life as a customer. Brand names may be able to overcome this obstacle as they have done so many times, however the future may lead to a change in the way products are marketed, and already in the way products are bought. Video games and the Net are an environment where mistakes can immediately be corrected and situations can be re-created. N-Geners, however, also expect to be able to change their minds, not just to correct their mistakes. They want to be able to change their minds often. Marketers should pay attention to this fact. N-Geners are not viewers or listeners or readers. They are users. They reject the notion of expertise as they shift through information at the speed of light by themselves, for themselves. It is difficult to convince them that they must have anything. Other industries can learn what the software and video game industries have already adopted – make your product free to use for a limited time. If it’s use becomes integrated into the N-Gen routine, making activities faster, brighter, and easier, then the product becomes indispensable and the companies can begin to charge. Given the growing influence of the N-Gen in adult purchasing, we can expect that advertisers will launch massive campaigns to deliver their messages to N-Geners – on packaging, billboards, print media, television, and increasingly, the Net. But there are ethical problems that arise when advertisers target children, and those questions are becoming harder to answer. It is obvious that it is a difference in the attitude of younger E-Customer and the older E-Customer because of computer literacy. But as online shopping will be possible from other devices that people are used to and are convenient with the barriers will fall and older people will be feeling more comfortable buying online. Access to greater amounts of dynamic information to support queries for customer decision making.· Gathering purchase-related information. The interactive nature of the web. Effective removal of geographic and political boundaries allows trade with a remote specialty product supplier as easily as with a large chain or superstore. Recreational uses of the medium. Customers can test products online, which may stimulate purchase. Wider availability of hard-to-find products and wider selection of items due to the width and efficiency of the channel. Time savings (if the E-Customer know how to find it). Medium provides the closest thing to free market competition.· Convenience of shopping from home, school, café, anywhere there is an Internet connection. Reduced costs to buyers from increased competition. Connecting customer to wholesaler directly means more savings. Access to dynamic (relevant, timely) information. Speed the process of finding items. Technology is providing freedom and choice of place, time, methods (ways), and content. Society, and therefore customers, has to adopt new modes of behaviour. There are business opportunities in helping customers, and the same new technology mediums, like the Internet and Web-TV, can deliver this help. As customers gain confidence with the new medium they will use them to define their requirements and their terms for doing business. We are entering an era of Pull Marketing. Companies will need to change their methods if they are to serve informed and pro-active customers. Collaboration with customers is the future for building trust and strong life long relationships. SRI’s (n.d.) Customer Acceptance of Technology (CAT) is designed to increase new product success by analyzing the human and social aspects of new technology products and services. It is based on research about change leaders—customers who are most positively responsive to new products and services. Design, redesign, and position products effectively. Below technographics segments. The optimists and the pessimists. 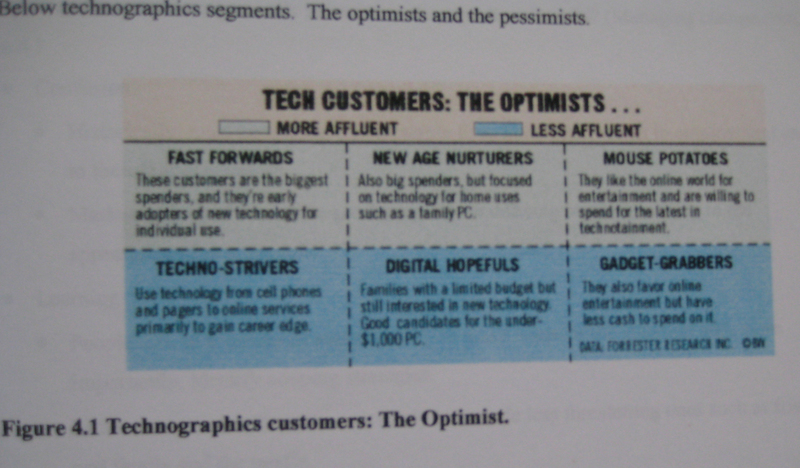 Figure 4.1 Technographics customers: The Optimist. 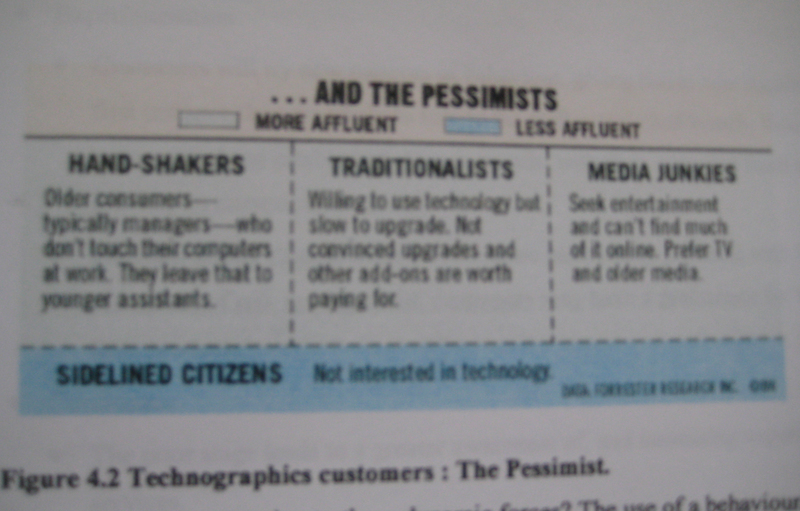 Figure 4.2 Technographics customers : The Pessimist. How are the customers generally behavior in the new digital world? (Managing change.com, n.d.)How are customers reacting to these dynamic forces? The use of a behavioural model helps to clarify what is occurring to people. Historically, most people have lived stable lives both with respect to employment and to their family situation. People turn to a variety of sources to try to make sense of the situation and, more importantly, identify cooping strategies. Customers will try new patterns of behaviour, giving rise to new requirements. In the first instance they are likely to turn to the well-established brands, though not necessarily long established. Newer brands, with their open and fresh approach, are proving an attraction for many. Products at this stage are likely to be basic commodity products with limited options. As a form of risk management, customers may have a preference for low cost, short-term products. In a study, «Winning the Online Customer: Insights into Online Customer Behavior”(BCG, 2000) the online shoppers show every sign of making the Internet a regular part of their shopping behavior. BCG identified three waves of online adopters in USA, distinguished by the length of their time online, as well as their distinctive activities and purchasing patterns. The first wave of online customers, the Pioneers, are the 23.2 million users who have been online for three years or more and now comprise 29 percent of the online population. The 39.6 million Early Followers have been online for than one but less than three years and represent almost half the current online population. The First-of-the-Masses are the most recent customers to go online, having made the leap only in the last year, and represent 18 million users or 22 percent of today’s online population. With each successive wave, the online population is becoming more representative of the demographics of the mass market. While the demographics of Pioneers are consistent with the Internet-user stereotype of the young, male technophile, the Early Followers and the First-of-the-Masses are increasingly female, mature, less educated, and less affluent customers. All three waves of online customers view the Internet as more about communication than commerce. More than 80 percent of all Internet users went online originally for communication purposes, while only 2 percent said they were motivated to go online to shop. Internet users spend 43 percent of their time online engaged in communication-related activities, primarily e-mail. Information gathering, representing 27 percent of online time, is the next most popular activity. And time spent online is increasing. A typical Internet user will spend 15 percent more time online in six months than is the case today. Increasingly, online activities are replacing offline activities, such as paper-based correspondence and long distance telephone calls. Leisure and entertainment are also being replaced by Internet time. Customers identified many compromises or barriers to shopping online in the research. Among both new and experienced Internet customers, anxiety over credit card security was the main barrier to purchasing online. Purchase process breakdowns were also a major irritant, as well as a deterrent to further online shopping. Twenty-eight percent of customers who suffered a failed purchase attempt stopped shopping online; 23 percent stopped purchasing at the site in question; and 6 percent also stopped patronising the retailer’s physical store. Despite a rising consciousness about the importance of loyalty marketing, 70 percent of online retailers lack operational strategies for cultivating their all-important customer relationships, according to a survey. The «Customer Development Survey» conducted among a cross-section of E-Retailers by (Follow Up Net, 2000), found that 26 percent of E-Retailers have no customer relationship development plan. Almost half (45 percent) perform their customer development programs on an ad hoc basis. That leaves 29 percent who are actively pursuing consistent, multi-step programs for developing customer relationships. Most E-Retailers recognise the importance of knowing customer behavior and preferences, but few have the skills or resources to acquire such information. There are several stages in the buying process, need identification, development of a consideration set, information search and evaluation of alternatives, choice/decision. The Goal-directed shopper can be a loyal visitor to your site, who is knowledgeable and experienced as how to quickly find an item he is seeking. Or, he can be a first time visitor who wishes to find a specific item and must use the tools the retailer has provided in the market space to accomplish his aim. Experienced with a retailer’s site. Experienced shoppers can enjoy knowing the site landscape and their familiarity with navigation. Unfortunately, this is the same customer who will get bored if the site remains static. Therefore, experienced users will not have as much «fun» as less experienced users. New visitor to a retailer’s site. An inexperienced customer is one who is unfamiliar with an E-Retailer’s site. The E-Customer of tomorrow will not be loyal in the same way as before and the E-Retailer have to do a lot more work than today both in understanding and keeping the E-Customers. If an E-Retailer has a product or service that the E-Customer s need to try before they buy, then the company can put one-to-one web technologies to work for them. E-Customers have typically purchased low-risk products that don’t require trial or demonstration such as computer-related products, music and books online. However, as web technologies advance and bandwidth constraints are better solved more products can be demonstrated online, also in real time. Many of the technologies are still quite expensive to implement, so analysing a company’s customers’ needs regarding how they buy online, and offline, is crucial knowledge to acquire before making the investment. The goal is to give the buyer a «virtual» and interactive buying experience that take care of some or all of the steps they use to buy in the physical world. Of course, the web will always be limited concerning some real-life experiences such as touch and smell. There are many benefits to adding «try before you buy» applications to an E-Retailer’s web site including increasing the use of the web for online purchasing at a lower cost, reducing the buyer’s sense of risk in online buying, minimizing return rate of products and services, and increasing customer satisfaction. Give rich, relevant product info. International guidelines to protect customers who buy goods on the Internet are long overdue, according to a global federation of customer groups. Customers International says customers often suffer limited choice, poor information about charges and order progress, unreliable delivery and difficulty in obtaining refunds.” “The survey points out that unless cross-border shopping on the Internet becomes customer-friendly and secure, electronic commerce will never reach its potential. The Survey found that one in ten of the items ordered never arrived. Five months later, two buyers are still waiting for refunds, and almost half the products ordered arrived without receipts. Seventy-three per cent of traders failed to give crucial contract terms, and more than 25 per cent gave no address or telephone number. 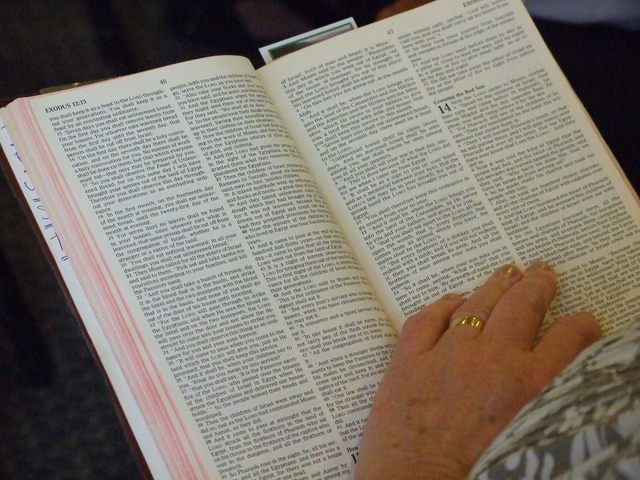 Another 24 per cent were unclear about the total cost of the item that was ordered. according to a report in W e b P r o m o t e W e e k l y (1999) Women in particular were shopping online more, according to the study: 37% in 1999, compared to 24% in 1998.
public, more people of moderate incomes and educational backgrounds are using Internet. As mentioned in Chapter 3.4 we have a lot of different agents, also called bots and spiders. Shopping for the best deals online can be a long and hard process. It’s a big job, checking at different E-Retailers for the lowest prices and best product guarantees. That’s why there are shopping agents. They will investigate all over the web, checking prices at every retailer they can find. Currently, most programs that claim to be shopping agents are really fixed comparison engines. In other words, instead of searching the Web for good prices on products the E-Customer might want to buy, these engines will quickly check at a set list of major retailers. These can still be fairly useful, but soon actual agents will be available, and bargain hunters will be able to cast their nets a lot wider. Comparison Engines are a great way to simplify the shopping process. If the E-Customer know exactly what he/she is looking for or need some help narrowing the search, these sites will help him/her save time and money. Tete-a-tete is the result of research conducted by MIT’s Media Lab (n.d.). The idea is to build a connection between the shopping agents used by customers and the sales agents used by businesses. Ideally, this would result in more effective negotiation between stores and customers. The shopping agents are a really treat for the E-Retailers, when they do not use competitors intelligence to see what the competitors are doing online and thinking innovative. By getting information about price, quality, service and other measurements that are important the E-Customer will be the king in the future. Electronic Commerce involves the constant tension between the need for an E-Retailer web site to gain information about their customers and the need for these individuals to control the release of this information to others. establish protocols whereby client-side software can assess the acceptability of declarations provided by server-side software. Clarke (1999) argues that privacy is not a single interest, but rather has several dimensions as privacy of the person, privacy of personal behavior, privacy of personal communications, privacy of personal data. Cookies provide the E-Retailer with the ability to maintain customer-profile data, and to do so on the customer’s own machine. A cookie is a record that may be stored on a customer’s local hard-disk, and that records data about the web-sites that have been visited. On subsequent occasions that a user of that machine contacts the same web-site, that data is provided along with the request. Cookies are a potentially valuable technical means of supporting relationships between customers and marketers. Information. Information needs to be readily available to anyone who seeks it, and needs to be sufficient to enable people to understand how the cookies work, what data they contain, what it’s used for, and whether the data will under any circumstances be provided to a third party. Choice. The customer needs to be able to judge whether they want to accept the conditions, or decline the service. Consent. This needs to be communicated by each customer. Fair Conditions. These need to be such that each customer has grounds for being confident in the nature of the commercial relationship. Recourse. Where marketer behavior does not comply with the conditions they nominate, they need to be able to be brought under control; and, quite critically, it is essential that the customer perceives this to be the case. Search Data Mining: Knowing customers’ data to build up a database of customers and their searching/ buying profiles. Anonymity: Customers want to minimize the information disclosed to the seller. Negotiation Buyer’s Identity: Knowing a buyers’ identity before entering a negotiation may affect the commercial Web providers’ commitment to finish the negotiation. Authentication: Confirming the seller’s identity prior to purchase helps ensure that goods will be genuine, and that service or warranties will be provided as advertised.Anonymity: Customers want to minimize the information disclosed to the seller. Decision Buyer’s Authentication: Knowing a buyers’ identity before making a sale may assist in proof of order and guarantee of purchase.Buyer’s Certification: The merchant may need proof that the buyer possesses an attribute required to authorize the sale. For example, some goods may only be sold to those licensed to use them; other goods require that the purchaser be over eighteen. Some products cannot be sold in some parts of the country while others cannot be exported. Anonymity: Customers want to minimize the information disclosed to the seller.Or Secondary Use of Information Control: The customer may want control over the amount of buyer / transactional information disclosed to third parties. Payment Confirmation: The merchant needs to be able to prove to any third party involved in the transaction (such as a credit card company) that the customer did indeed authorize the payment.Payment Assurance: This can be achieved by having payment before sale, at time of sale, or by provision of a payment guarantee. 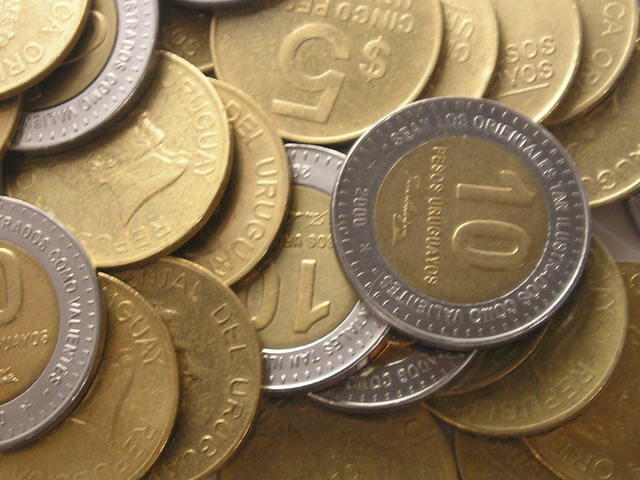 A credit reference by a trusted third party provides a lesser form of assurance, but it at least demonstrates that the buyer is capable of making the payment Confirmation: The customer will want some form of irrefutable proof of the transaction, such as a receipt.Integrity: The customer desires protection against unauthorized payments. Anonymity: Customers will want control over the amount of transactional information disclosed to the merchant. Fulfillment / Delivery Non-repudiation: the commercial Web providers wants protection against the customer’s unjustified denial that he placed the order, or that the goods were not delivered Recourse: Comfort that there is recourse if the seller fails to perform or deliver. Post-purchasing relationship Develop an Exchange Relationship: the seller wants the customer to re-purchase in the future, engaging in a long-term relationship. Recourse: Comfort that there is recourse if the product fails to perform or doesn’t comply with the specifications.Develop an Exchange Relationship: the customer may want to have a reliable provider where he can buy repetitively, with a certain price and quality. When it comes to the online users’ need to receive a notice, this means a clear written communication of what their personal information will be used for. The online customer particularly wants to know if the data will be going to a third-party company. When it comes to their desire for choice, online customers want to choose to participate once they know the benefits and «costs» (i.e., the use of their information) of doing so. According to a Forrester Research study (1999), almost 90 percent of online customers want to control how their personal information is used. The activity that scares people away from online shopping or interaction is that they don’t know how much data is being captured and by whom. With the addition of convenient, targeted content or additional site access, customers enter into Level 2, a one-way communication relationship whereby merchants promise not to initiate contact with the shopper or disseminate personal information. At Level 3, customers agree to two-way communication with retailers. At this stage, visitors share more personally identifying data in exchange for proactive notifications of specials from the retailer. Level 4 is considered a trusting relationship, whereby shoppers seek advice and active solicitations from their favorite merchants, including deals offered by established partners. A study by Cheskin Research and Studio Archetype/Sapient (1999) has revealed how to build trust in order to build customer loyalty provides exceptional insight into how to effectively build trust on the web site. Seals of approval—information, symbols, certificates, etc. that you display on your web site to indicate the site is safe, secure and protects user privacy. Brand—brand awareness and equity that promotes the perception of a quality product or company reputation. Navigation—making it easy for online buyers to easily find what they want or need. Fulfillment—easy and dependable order fulfillment process including recourse and returns. Presentation—the site’s look-and-feel that communicates your purpose with clarity and trustworthiness. The conclusion is that the E-Retailers that ask their E-Customers for personal information must form an explicit bargain with them that their information will be used within the company only on a need-to-know basis. E-Retailers that fail to protect their customers’ information are asking for trouble. Further the E-Retailers cannot have a trustworthy web site if they do not have a trustworthy brand. Also, if they have a trustworthy brand but their web site doesn’t meet the expectations of the other building blocks, they will not succeed either.